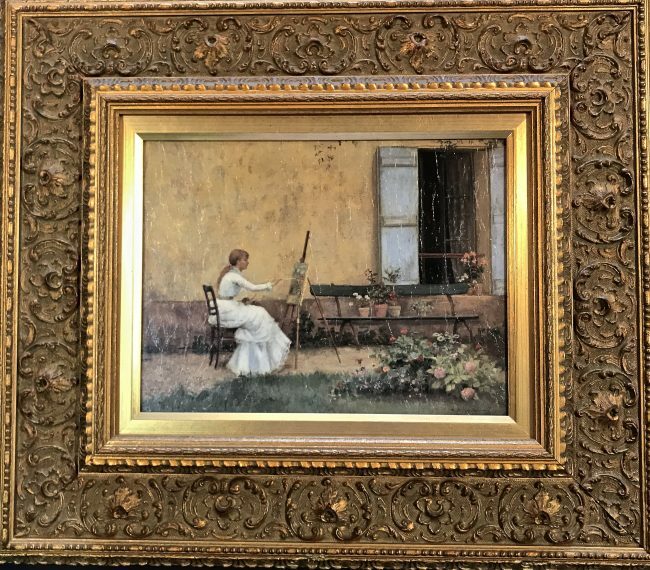 Custom framing your original work of art, family heirloom, or treasured family photos can be emotional and stressful with thousands of options, design choices and technical challenges. 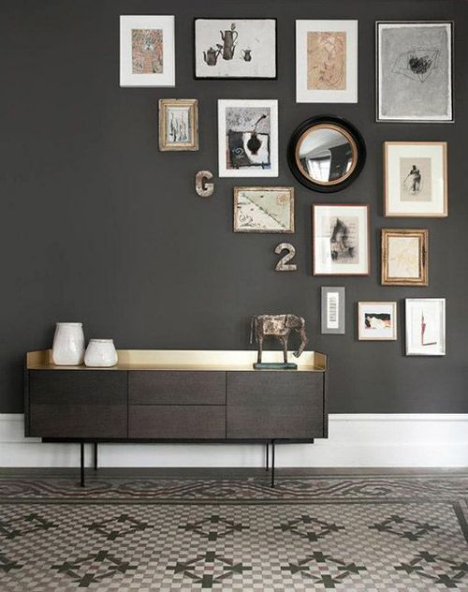 At Phoenix Art Workshop we believe your ideas are the cornerstone to good design. 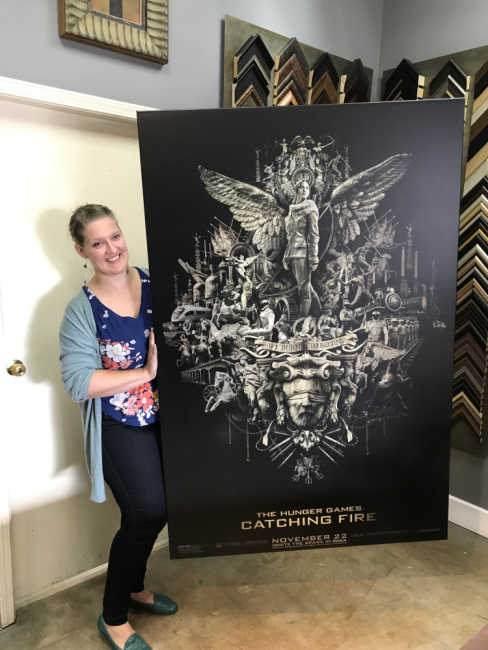 We take you ideas seriously and truly want to help guide you to make good creative design choices that will insure you and your newly framed artwork will live happily ever after. 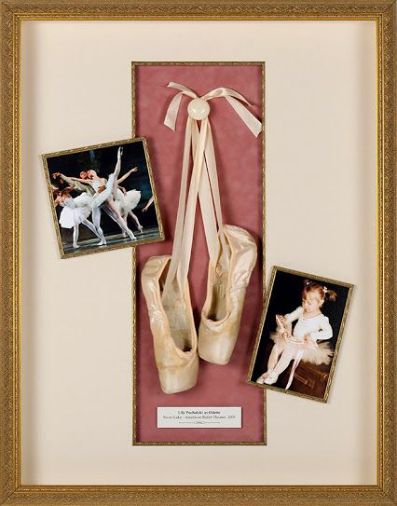 Shadow Boxes are a great way to display family memorabilia – special family moments or honour a passion like this little girls Ballet Slippers.